Mondays are no more boring and annoying this year! 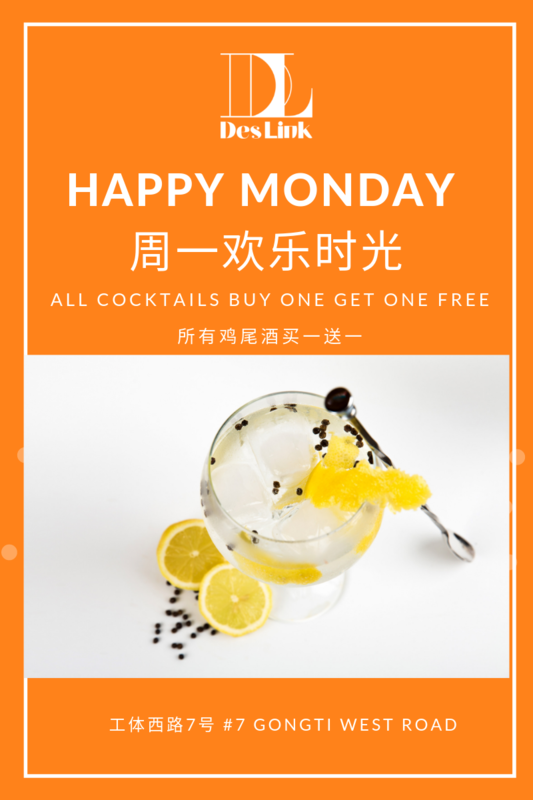 Buy one Cocktail get one free at Des Link EVERY MONDAY to refresh your soul. All cocktails at your choice!